The Rose Bracelet is a very beautiful design. It truly looks like a garland of flowers lying along the wrist. Each rose utilizes multiple rings. 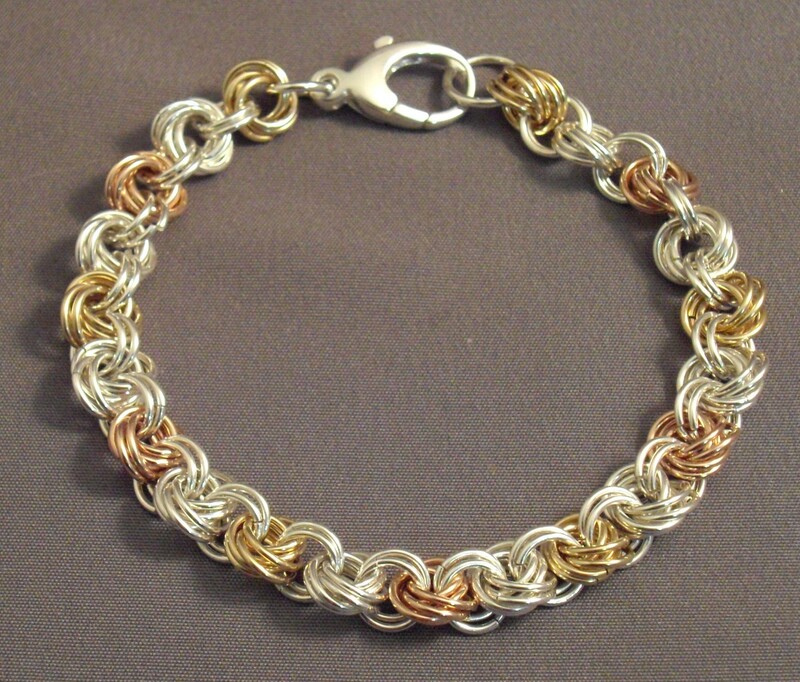 This is a very fun bracelet to make. This is an intermediate weave. The clasp is not included in the kit.